First name is pronounced rye-SELL...in voting of the Cincinnati chapter of the Baseball Writers' Association of America received the 2017 Johnny Vander Meer Award as the Reds' Most Outstanding Pitcher...in 2016 became the second Cuban pitcher to start for the Reds on Opening Day, joining Reds Hall of Famer Dolf Luque (1921 vs Pirates, 1928 vs Cubs), and only the fifth Reds pitcher to start Opening Day and record a save in the same season (Joey Hamilton 2002, Woodie Fryman 1977, Don Gullett 1973, Jack Billingham 1972)...in March 2013 pitched for Cuba in World Baseball Classic...has 24 career saves of more than 1.0 inning and 10 career saves in which he pitched 2.0 innings...does not have a save in which he pitched more than 2.0 innings...over the last 3 seasons, his 24 saves of more than 1.0 inning are the most by any reliever in the Major Leagues (Kenley Jansen 22, Alex Colome 13)...6 times in his career pitched on 3 straight days but never has pitched on 4 consecutive days...is 1 of 5 players born in Cuba participating in the Reds' 2019 Major League spring training camp (OF Yasiel Puig and minor leaguers RHP Odrisamer Despaigne, RHP Vladimir Gutierrez, IF Alfredo Rodriguez). 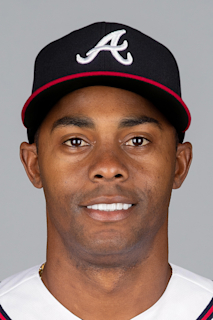 Is a converted shortstop...left Cuba in November 2013 and became eligible to sign a Major League contract after he established residency in Haiti. Among the National League pitching leaders ranked fifth in both saves and games finished (57)...was 1 of only 11 pitchers in the Major Leagues with at least 30 saves...produced a career-high 30 saves (28sv, 2017)...is the sixth Red to record at least 28 saves in more than 1 season (Aroldis Chapman 2012-2015, Francisco Cordero 2008-2011, Danny Graves 2000-2002 & 2004, Jeff Brantley 1995-1996, John Franco 1986-1989)...produced 10 saves of more than 1.0 inning...his longest save in 2018 was 1.2 innings (7/6 at Cubs)...the Reds went 42-24 in games in which he pitched, the staff's best winning percentage (.636)...18 times pitched on consecutive days, tying Jared Hughes for the most on the staff, and a team-high 5 times pitched on 3 consecutive days...from 5/30-7/2 converted a season-high 8 straight save opps...after a blown save on 8/21 finished the season with 7 consecutive successful save conversions...from 6/17-6/27 produced saves in 6 consecutive apps, the longest such streak of his career...from 5/7-5/13 retired 17 consecutive batters, including a stretch from 5/9-5/13 in which he made 4 straight perfect apps (15bf, 5ip, 7k)...from 5/23-5/29 was disabled with a left biceps strain...missed the first 2 games of the season while on the 3-day paternity list celebrating the birth of son Oliver. In voting of the local chapter of the BBWAA received the Johnny Vander Meer Award as the Reds' Most Outstanding Pitcher...his team-high 28 saves ranked sixth in the National League...ranked T2nd in the NL with 57 games finished, most on the Reds' staff...led the Major Leagues with 8 saves of at least 2.0 innings and with 11 saves of at least 1.2 innings...with 12 saves of more than 1.0 inning tied LAD's Kenley Jansen for the lead among all pitchers...his eight 2.0-inning saves were the most by any pitcher in the Major Leagues since 1999, when Cin's Danny Graves had 10 saves of at least 2.0 innings...from 6/27-9/15 converted a career-high 15 consecutive save chances between his only blown saves of the season (6/11 at LAD, 9/24 vs Bos)...from 8/11-8/18 recorded saves in 4 consecutive apps for the only time in his career...from 8/23-8/25 pitched 3 consecutive days for the only time in his career...from 4/28-6/8 threw scoreless streaks of 19 apps, the longest of his career by game, and 20.0 innings, which ranked as the longest scoreless stretch by any Reds pitcher in 2017...those streaks were snapped on 6/11 at LA by Corey Seager's first career grand slam (0.2ip, 4er)...allowed 7 of his 21 earned runs on 2 pitches, on Corey Seager's first career grand slam (6/11 at LAD, 0.2ip, 4er) and on Marcell Ozuna's 3-run HR (7/30 at Mia, 1ip, 3er)...his season ERA in his other 61 apps drops to 1.70 (74.1ip, 14er)...allowed at least 1 run in each of his last 4 apps of the season (4.2ip, 7h, 6er, 2bb, 5k, 1hr), raising his ERA from 1.89 to season-ending 2.49...for the first time in his career allowed a run in more than 2 consecutive relief apps...retired the first batter in 51 of his 63 relief apps...stranded 14 of his 18 inherited baserunners...converted 28 saves in 30 chances...the Reds went 45-18 in games in which he pitched. Was the Reds' Opening Day starter, just the second Cuban pitcher to start for the Reds on Opening Day (Reds Hall of Famer Dolf Luque, 1921 vs Pirates, 1928 vs Cubs)...went 1-1, 3.49 in 5 starts before he was disabled with an impingement in his right shoulder (5/1-6/20)...after he came off the disabled list on 6/21, made his last 32 apps of the season in relief (2-1, 1.98, 6sv, 8svo)...took a 2.09 ERA into his last appearance of the season, but in the 7-4 loss vs Chi he suffered a blown save after allowing a season-high 4 runs...following that appearance, his season ERA jumped from 2.09 to season-ending 2.53...prior to that appearance in the season finale, his 1.29 ERA after he came off the DL on 6/21 was the second-lowest of any Major League pitcher with a minimum of 49.0 innings pitched (Chi's Kyle Hendricks, 1.28)...from 9/25-10/1 produced saves in 3 consecutive apps, his only streak of the season...twice pitched on consecutive days...on 9/24 and 9/25 at Mil pitched on consecutive days for the first time in his career and retired all 6 batters (11 pitches on 9/24, 15 pitches on 9/25)...did it again on 10/1 and 10/2 vs Cubs in the Reds' last 2 games of the season (13 pitches on 10/1, 27 pitches on 10/2)...in 17 of his 32 relief apps threw at least 2.0 innings, including a career-high 3.0 innings in relief on 7/5 at Cubs and 7/30 at SD...had a pair of 2.0-inning saves, in the 3-0 win on 9/12 vs Mil and in the 2-1 win on 9/28 at StL...in the 7-4 win at StL on 8/9 recorded his first Major League save...became the fifth Reds pitcher to start Opening Day and record a save in that same season (Joey Hamilton 2002, Woodie Fryman 1977, Don Gullett 1973, Jack Billingham 1972)...in each of 8 consecutive apps from 6/28-7/25 threw at least 2.0 innings (17.1ip, 5h, 0r, 8bb, 21k)...from 6/28-8/4 produced scoreless streaks of 11g and 22.2ip, career highs by both apps and innings pitched and the longest by a Reds pitcher all season...was the second-longest active streak in the Major Leagues when snapped on 8/7 at Pit...on 7/1 at Wsh followed starter Anthony DeSclafani and threw 2.1 scoreless innings, the longest relief appearance of his career, then 7/5 at Cubs followed starter Brandon Finnegan and established another career high with 3.0 scoreless innings...started the Reds' 6-2 Opening Day win vs Phi...allowed only a 2-run HR in the 2nd inning by Freddy Galvis...became the second Cuban pitcher to start for the Reds on Opening Day, joining Reds Hall of Famer Dolf Luque (1921 vs Pirates, 1928 vs Cubs)...entered Opening Day with 16 career starts and 95.1 career innings...the last Reds pitcher to start on Opening Day with 16 career starts or fewer was Frank Pastore in 1980 (9 starts)...Pastore in 1980 also was the last Reds pitcher to start on Opening Day with 95.1 career innings or fewer (95ip). In his first professional season ranked among National League rookie pitching leaders in opponents' BA (.228, 2nd), ERA (6th), strikeouts (6th), innings pitched (9th) and starts (T9th)...was 1 of 9 rookie pitchers who combined for 110 starts for the Reds, both single-season modern club records...the Reds' season-ending streak of 64 consecutive starts by rookies, beginning 7/29, is a modern Major League record...was 1 of 5 Reds pitchers to start in his Major League debut (John Lamb, Michael Lorenzen, Jon Moscot, Josh Smith)...from 6/5-7/10 was disabled with a strained left oblique...didn't pitch after 9/13 because of right shoulder fatigue...from 8/23-9/2 recorded 13, 10 and 10 strikeouts to become the first pitcher in modern Reds history, rookie or non-rookie, to record at least 10 strikeouts in 3 consecutive apps...was the first Major League rookie with 3 consecutive 10-strikeout apps since LAD's Hideo Nomo had at least 10 strikeouts in 4 straight starts in 1995...Gary Nolan (1967) and Bruce Berenyi (1981) are the only other rookies in Reds history to produce as many as 2 consecutive 10-strikeout games...Iglesias' 13 strikeouts in the 4-0 loss on 8/23 vs Ari were the most by a Reds pitcher all season and the most by a Reds rookie since Nolan established the club record for rookies with 15 strikeouts on 6/7/67 vs SF...in the fourth inning of that 8/23 start allowed a solo HR to Welington Castillo that snapped Iglesias' career-high 15-inning scoreless streak...recorded 8 quality starts...from 8/1-9/2 produced 7 consecutive quality starts (2-3, 2.31), a streak snapped by a 7-3 loss on 9/8 vs Pit...was this season's longest streak of quality starts by a Major League rookie and Reds pitcher...in the 13-inning, 3-1 loss on 8/18 vs KC was the victim of a blown save when Ben Zobrist led off the ninth inning with a home run off Aroldis Chapman to tie the score at 1-1...Chapman had converted 56 consecutive saves at GABP dating back to September 2012, the longest successful home streak in the Major Leagues since the advent of the saves statistics in 1969...also on 8/18 vs KC, singled off Edinson Volquez for his first career hit...in his debut on 4/12 vs StL became first Reds player since Mike Leake in 2009 to play in the Major Leagues without appearing in a minor league game and the eighth Reds player overall to do it...Iglesias and C Brayan Pena became the first Reds pitcher/catcher battery born in Cuba since P Dolf Luque threw to C Manuel Cueto in 1918...first career strikeout victim was Jason Heyward, his second batter...in anticipation of Homer Bailey coming off the disabled list to start on 4/18 and fill his spot in the rotation, Iglesias was optioned to Louisville the day after his debut...made 4 starts for the Bats before he was promoted again on 5/13 and made 3 starts and 2 relief apps before he was disabled...made a pair of rehab apps for Louisville in starts on 6/30 and 7/5 before he was activated on 7/11 to start that night's 14-3 loss at Mia... finished the season as 1 of 5 starters in the Reds' rotation...entered the season rated the second-best prospect in the organization. In June was signed by the Reds to a 7-year contract...pitched in the prestigious Arizona Fall League and threw 7 scoreless apps for Surprise (7ip, 1h, 3bb, 7k). May 30, 2018 Cincinnati Reds activated RHP Raisel Iglesias from the 10-day injured list. May 23, 2018 Cincinnati Reds placed RHP Raisel Iglesias on the 10-day disabled list retroactive to May 20, 2018. Left biceps strain. March 29, 2018 Cincinnati Reds placed RHP Raisel Iglesias on the paternity list. March 29, 2018 Cincinnati Reds activated RHP Raisel Iglesias. June 21, 2016 Cincinnati Reds activated RHP Raisel Iglesias from the 15-day disabled list. June 11, 2016 Cincinnati Reds sent RHP Raisel Iglesias on a rehab assignment to Pensacola Blue Wahoos. July 11, 2015 Cincinnati Reds activated RHP Raisel Iglesias from the 15-day disabled list. June 30, 2015 Cincinnati Reds sent RHP Raisel Iglesias on a rehab assignment to Louisville Bats. May 13, 2015 Cincinnati Reds recalled RHP Raisel Iglesias from Louisville Bats. April 13, 2015 Cincinnati Reds optioned RHP Raisel Iglesias to Louisville Bats. October 20, 2014 RHP Raisel Iglesias assigned to Surprise Saguaros. September 29, 2014 Cincinnati Reds recalled Raisel Iglesias from AZL Reds. August 12, 2014 Cincinnati Reds optioned RHP Raisel Iglesias to AZL Reds. July 11, 2014 Raisel Iglesias roster status changed by Cincinnati Reds. July 1, 2014 Cincinnati Reds optioned RHP Raisel Iglesias to Louisville Bats. June 27, 2014 Cincinnati Reds signed free agent RHP Raisel Iglesias.